This weekend I was fully consumed with an art show where I showed my latest photographs from India. I focussed my show on the Kumbh Mela and sadhus, hindu monks. 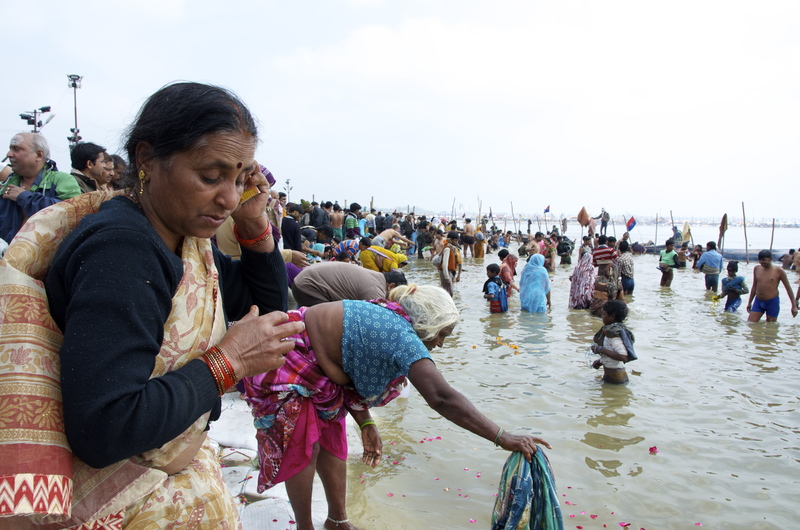 The Kumbh Mela is an auspicious bathing that happens every 12 years according to the alignment of the stars. This February I made the pilgrimage to Allahabad for the festival which happens to be where my great-grandfather was from. The Kumbh Mela is the most sacred of all hindu pilgrimages and is equal to 1000 regular pilgrimages. This year was the Maha Mela which happens every 144 years and I feel very blessed to be a part of it. The Kumbh Mela is the largest gathering in the world and draws people from all over the globe. An estimated 100 million people bathed in the Ganges river over the 50 days! The city was full of international photographers and film makers trying to capture the event and the National Geographic team was staying at the same camp as me. It was visually stunning and I was able to capture many beautiful people and moments. I got a great response from my show but by the end of it, I was really tired and starving. I looked in my fridge and created a delicious meal with leftovers. 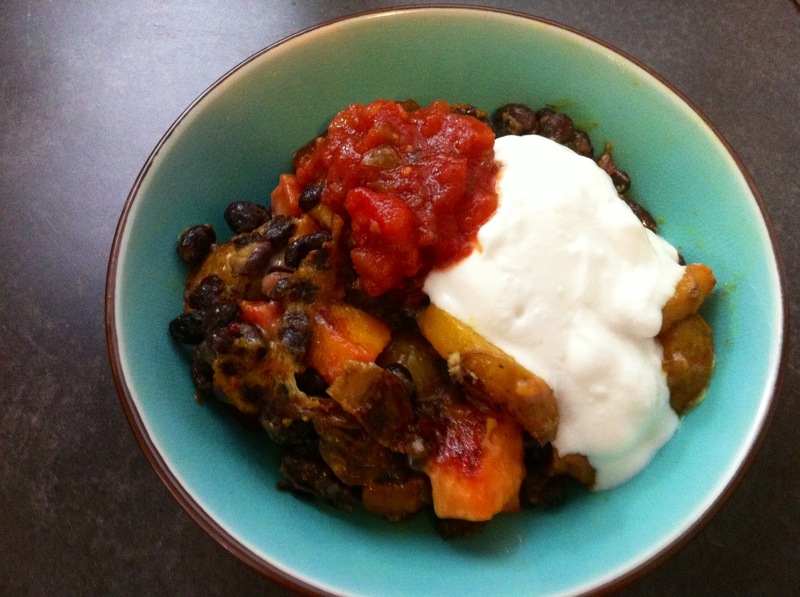 I pulled out my root vegetable hashbrowns that I had made for breakfast and opened a can of black beans and sauteed them for a couple of minutes. I added cheese to the dish which I cooked in the pan and it created stringy and crispy caramelized bits. Finally I topped it with Mexican condiments and it was delicious. It only took about 10 minutes from start to finish including the dishes. Warm the hash browns in a non-stick frying pan on medium-heat. When warm, add the beans and layer with cheese. Continue cooking covered. Remove from heat, place in bowl and top with the rest of the ingredients. Beautiful mix of cultures here Lily! Good stuff!!! Yo. You are currently reading Mexican Leftover Lunch at Coriander Kitchen.